The London Marathon takes place on Sunday 28th April 2019. There will be many road closures around London from Saturday 27th April, which will cause traffic disruption and increase congestion. Please bear this in mind whilst planning your journey to the hotel. If you have any questions please contact the hotel directly. 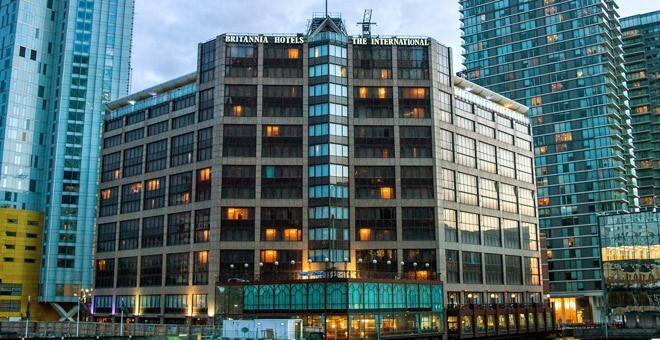 The Britannia International Hotel was one of the first Canary Wharf Hotels. 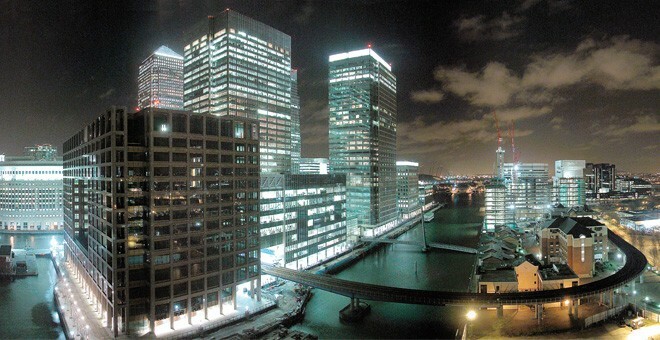 Situated on the water’s edge at the London Docklands, it is a modern glass-fronted building close to the internationally famous business district, and has superb panoramic views of the London Skyline. 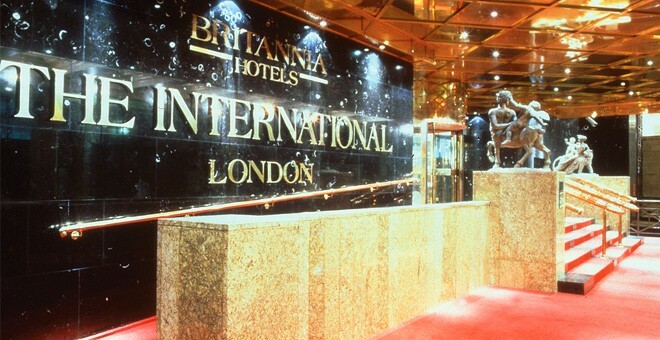 The Britannia International Hotel has 530 large rooms, all with en-suite bathrooms, TV and tea/coffee making facilities. 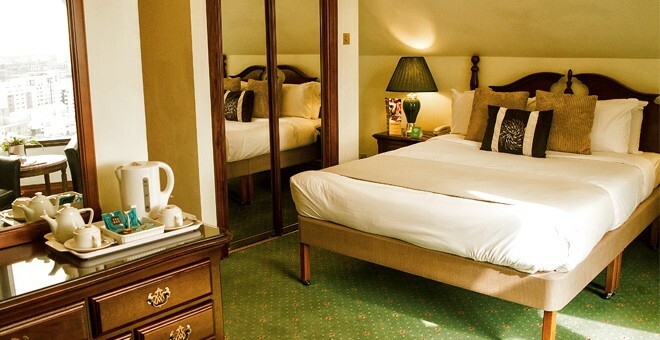 Rooms on the upper floors also offer spectacular views of the Thames and the London skyline. However, for those really looking for a luxurious stay, the hotel offers a variety of penthouse suites. 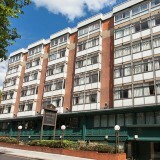 Our London hotel supplies a number of dining options to suit all tastes. Jenny’s Carvery serves a delicious breakfast, lunch and dinner in the form of a buffet, and is great for those seeking an informal atmosphere. Guests can also enjoy continental cuisine at our Overstuffed Pizzeria, which features a wide choice of Italian dishes and snacks, or the Spice Restaurant, offering authentic Indian cuisine. 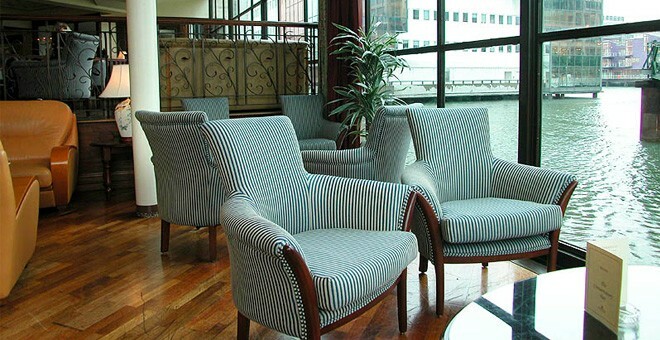 The hotel also features a Conservatory Bar, with an ambient atmosphere and views of the waterside, alongside Friday's Pub, the home of regular live sports. Hotels in London tend to benefit from the city’s excellent public transport system, and this hotel is no different; the O2 arena, EXCEL Centre, London City Airport, Greenwich and the West End of London are all within easy reach. It is also located outside the congestion charge zone, and within easy walking distance of the South Quay DLR station.